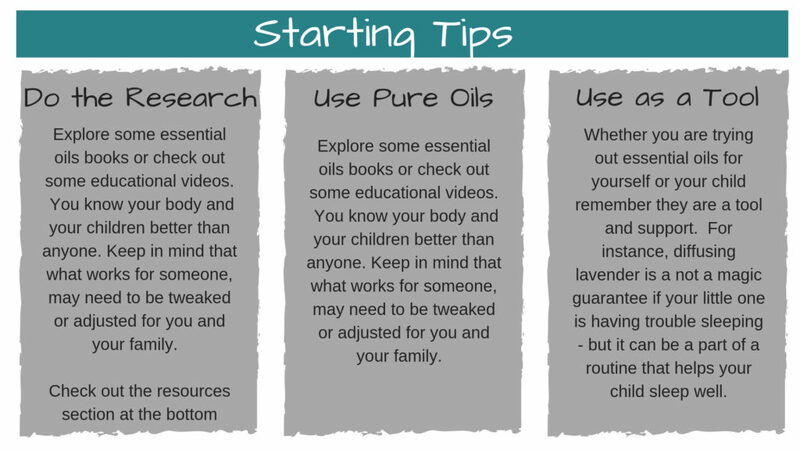 When I first thought about using essential oils, it was more related to health and for me. But the more I learn about them, the more I see continued uses for them within our whole family. I went to a class with Marissa Hylton from Wondrously Whole about kids and emotions and how oils can be a tool to help with calm, relax or lift up. 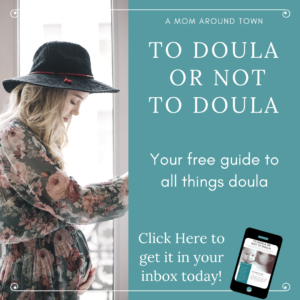 I asked her to give us some words of wisdom in this week’s Guest Blog! I first explored using essential oils to help support my own mood and emotions. I began seeing noticeable changes and dived deeper into the essential oil world! I now use the oils to also support my sleep, promote energy and for my overall health. As I began to do all of this, I thought of the little learners I see everyday in my classroom. As an early childhood teacher, I see have seen kids each year that struggle with their emotions. I have chatted with countless parents asking for support and suggestions with challenging behaviors and at home routines. 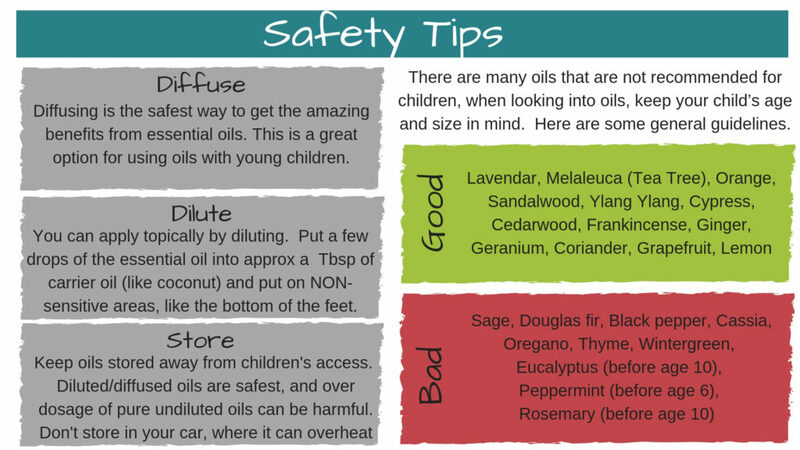 I could see the great things that these oils could help support children with and I wanted to share this with parents. So I started exploring using essential oils with kids. 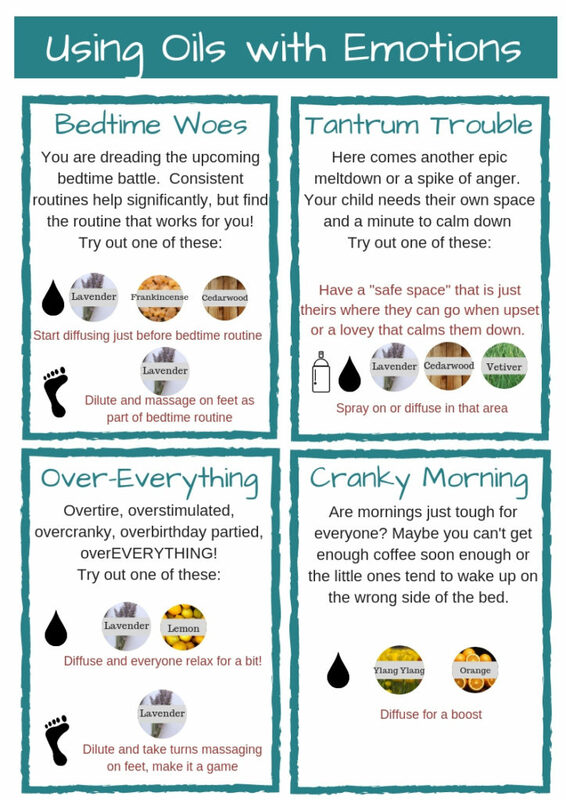 When children are struggling with transitions (bedtime, waking, one activity to another) or have big emotions and get upset, are anxious or have a hard time calming down, a routine of essential oils may be a good tool. Try diffusing or applying oils at the same time every day. Bedtime and morning may be good times to start. Here are some idea! If you need some help getting started on your oil journey, or want to learn more about using essential oils with kids, I’d love to support you and your family more! Feel free to contact me and check our Facebook Page.